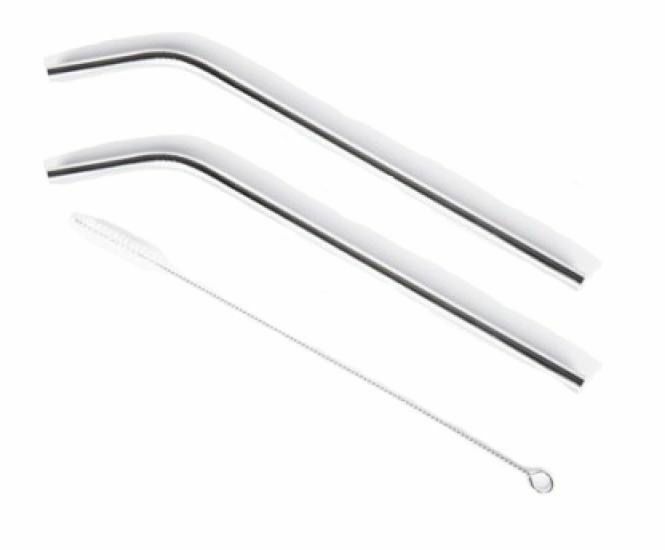 Stainless Steel Smoothie Straw. Made from polished 18/8 stainless steel, they are reusable and dishwasher safe. Two smoothie straws and one cleaning brush. Straw measures: 24 cm/9.45 inches long, 8 mm/0.31 inches in diameter.